The first European presentation of EST will took place on Thursday, October 5th, 2017, at 9:50am, at the prestigious location of the Accademia Nazionale dei Lincei (Pallazzina dell'Auditorio - Via della Lungara 230, Rome). The goal of this event was to underline the Italian involvement in the project both from the scientific and the industrial point of view. 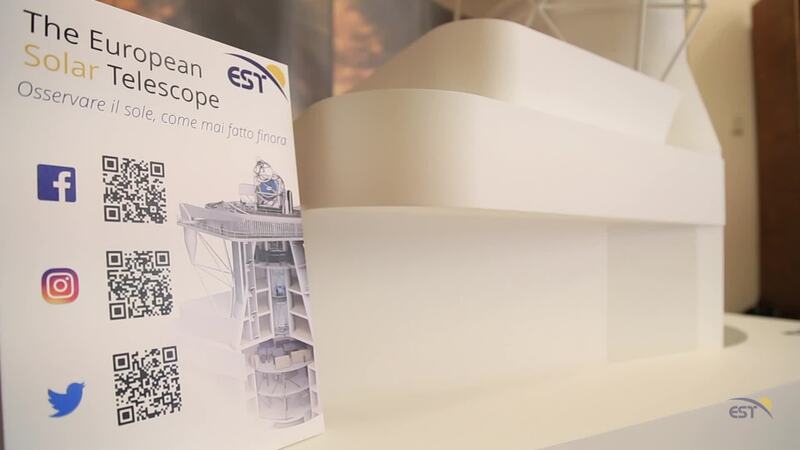 It convened the European and Italian scientific communities involved in the project, the elite of Italian industry for astrophysics, the institutions and the public press. The presentation was supported by the Instituto de Astrofísica de Canarias (IAC), S.R.S. Engineering, A.D.S. International and the Italian scientific institutions involved in EST: INAF (the Italian National Institute for Astrophysics), the University of Calabria, the University of Catania and the University of Rome "Tor Vergata"